We find that there are no distinguishing facts in the present stay petitions and relevant appeals pending adjudication before this Tribunal in I.T.A Nos.69/Bang/2014, 68/Bang/2015, 559/Bang/2016 & 987/Bang/2017 from the stay petition disposed by the tribunal on 07.11.2017 arising in appeal no. ITA. 1190/Bang/2014 (supra). We also find that Hon’ble Jurisdictional High Court has directed the assessee to maintain 20% of disputed demand as balance in the bank account of the assessee although in that year, the assessee had already made payment to the extent of 55% of the disputed demand. Therefore, it is seen that as per this judgment of Hon’ble Jurisdictional High Court, for granting stay to the present assessee, payment of 55% of disputed demand and in addition to that maintenance of 20% of disputed demand as balance in the bank account of the assessee is just & proper condition. Hence, respectfully following this judgment of Hon’ble Jurisdictional High Court, we deem it appropriate to direct the assessee to deposit a further amount of Rs 175 crores so as to make it 55% ( 500 crores approx) of the impugned total demand of Rs. 910.61 Crores in respect to all these four assessment years i.e. 2009-10 to 2012-13, on or before 15.12.2017. We also direct the assessee to retain balance of another 20% in account No. 0037238007, maintained with CITI Bank, M.G.Road Branch, Bengaluru-560 001 which comes to Rs.182 crores, during the pendency of these appeals before the Tribunal in addition to depositing further amount of Rs 175 crores . In terms of conditions mentioned herein above, stay orders earlier granted are extended for a period of three months from the date of this order or till the date of disposal of the appeals, whichever is earlier subject to compliance of the above directions. The other conditions mentioned in the earlier orders for grant of stay shall continue to apply against the parties. The present four stay petitions are filed by the assessee for the assessment years 2009-10 to 2012-13, seeking extension of the stay earlier granted by the Tribunal on various occasions. Asst. Year Total demand Rs. Amount paid Rs. On the basis of the above, it was submitted that out of the total demand of Rs.910,61,66,320/-in respect of the four assessment years, the petitioner had already paid the amount of Rs.324,95,96,110/-, i.e., 36% of the total outstanding demand. The learned Senior Counsel appearing for the appellant submits that IA.No.2/2017 may be disposed of by directing the Income Tax Appellate Tribunal, Bengaluru, to dispose of the appeals namely, ITA No.1190/Bang/2014, ITA No.949/Bang/2017 and ITA No.950/Bang/2017 without being influenced by the order dated 23.10.2017 passed in IT(TP)A.1511/Bang/2013 which is impugned in this appeal. We find no legal impediment to grant the aforesaid prayer. Accordingly, we direct the Income Tax Appellate Tribunal, Bengaluru, to dispose of the appeals in I.T.A.No.1190/Bang/2014, I.T.A.No.949/Bang/2017 and I.T.A.No.950/Bang/2017 in accordance with law and without in any way being influenced by the order dated.23.10.2017 passed in IT(TP)A.1511/Bang/2013 which is impugned in this appeal. IA No.2/2017 stands disposed of accordingly. 05. Thereafter the Ld. 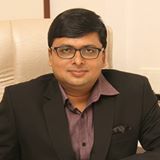 AR has submitted that the Hon’ble Delhi High Court in the matter of Nokia Corporation v. Director of Income-tax (International Taxation) [162 Taxman 369], held that it would be incumbent upon the Revenue to take into account the tax liability of the assessee for the entire period in respect of which the dispute was still alive. On the basis of this, it was submitted that for the proceedings emanating from the order passed by the lower authorities u/s.201 of the Act, the Hon’ble Division Bench has directed the Tribunal to decide the appeals without being influenced by the order passed by the Tribunal in ITA.1511/Bang/2013, dt.23.10.2017. 06 The stay petitions pending before the Tribunal are pertaining to assessment years 2009-10 to 2012-13 in ITA Nos. 69/Bang/2014, 68/Bang/2015, 559/Bang/2016 & 387/Bang/2017. In these appeals, the stand of revenue is of principle depending agent not of Royalty and therefore Section 40(a)(i) of the Act would not be applicable and decision of the tribunal rendered in ITA no 1151/Bang/2013would not be of any help to the revenue The Ld. AR has further drawn our attention to the judgment of the Hon’ble jurisdictional High Court in the matter of Agarwal Coal Corporation P. Ltd v. Commissioner of Customs in CSTA No.9 of 2016, dt.01.02.1017. wherein at para.6, the Hon’ble High Court has held that unless there is a change in the circumstances, the judicial forum cannot deviate or review its own order. 07. On the other hand, the Ld. DR for the Revenue submitted that the assessee be burdened with same conditions as laid by Hon’ble jurisdictional High Court in WP Nos.52358-52359/2017, dt.22.11.2017, whereby the Hon’ble jurisdictional High Court while dealing with an identical issue for the assessment year 2013-14 in ITA No.1190/Bang/2014, had directed the assessee to retain a balance of another 20% in the account No.0037238007, in addition to already paid amount of 55% of the outstanding demand. Further it was the case of the Revenue that the issue of the payment made by the assessee to Google Ireland is covered against the assessee in ITA No.1151/Bang/2013, vide order dt.23.10.2017, whereby the Tribunal held that the payment made by the assessee to Google Ireland was in the nature of royalty. 08. We have heard the rival submissions and perused the record. The Hon’ble Division Bench in ITA.879/2017 in IA.2/17, has directed the Tribunal to adjudicate the appeals bearing no ITA No.1190/Bang/2014, ITA No.949/Bang/2017 and ITA No.950/Bang/2017 without being influenced by the decision rendered by the Tribunal in ITA No.1511/Bang/2013 (supra). The ITA no Nos.69/Bang/2014, 68/Bang/2015, 559/Bang/2016 & 387/Bang/2017 were not the subject matter of proceedings before Hon’ble Division Bench directions dated 15.11.2017. Further it is also a matter of record that prior to passing of the order by the Division Bench, the Tribunal in ITA.1190/Bang/2014,on 07.11.2017, for the assessment year 2013-14, had dismissed the stay application filled by the assessee for extension of the stay. Against the dismissal order passed by the tribunal in stay petition and also subsequent attachment order passed by the AO, the assessee filed WP bearing Nos.52358-52359/2017 (supra). In the said writ petitions, the Hon’ble High Court after recording the submissions of the assessee passed an order, whereby Hon’ble court recorded the deposit of 55% made by the assessee against the impugned demand, and thereafter, directed the assessee to retain additional balance of another 20% in the account bearing No. 0037238007. 09. We find that there are no distinguishing facts in the present stay petitions and relevant appeals pending adjudication before this Tribunal in I.T.A Nos.69/Bang/2014, 68/Bang/2015, 559/Bang/2016 & 987/Bang/2017 from the stay petition disposed by the tribunal on 07.11.2017 arising in appeal no. ITA. 1190/Bang/2014 (supra). We also find that Hon’ble Jurisdictional High Court has directed the assessee to maintain 20% of disputed demand as balance in the bank account of the assessee although in that year, the assessee had already made payment to the extent of 55% of the disputed demand. Therefore, it is seen that as per this judgment of Hon’ble Jurisdictional High Court, for granting stay to the present assessee, payment of 55% of disputed demand and in addition to that maintenance of 20% of disputed demand as balance in the bank account of the assessee is just & proper condition. Hence, respectfully following this judgment of Hon’ble Jurisdictional High Court, we deem it appropriate to direct the assessee to deposit a further amount of Rs 175 crores so as to make it 55% ( 500 crores approx) of the impugned total demand of Rs. 910.61 Crores in respect to all these four assessment years i.e. 2009-10 to 2012-13, on or before 15.12.2017. We also direct the assessee to retain balance of another 20% in account No. 0037238007, maintained with CITI Bank, M.G.Road Branch, Bengaluru-560 001 which comes to Rs.182 crores, during the pendency of these appeals before the Tribunal in addition to depositing further amount of Rs 175 crores . In terms of conditions mentioned herein above, stay orders earlier granted are extended for a period of three months from the date of this order or till the date of disposal of the appeals, whichever is earlier subject to compliance of the above directions. The other conditions mentioned in the earlier orders for grant of stay shall continue to apply against the parties. 10. In the result, stay petitions are allowed in the terms indicated above. Order pronounced in the open court on 8th day of December, 2017.